Launched today, Xiaomi's new mobile payment service Mi Pay is Xiaomi's version of Apple Pay, Samsung Pay and Android Pay. Not only does it support 20 credit and debit cards from 20 Chinese financial institutions, it also works with public transportation cards from six cities in the country. For now, Mi Pay is not only being limited to the manufacturer's home country, it is also limited to just one phone. 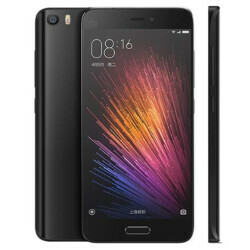 Only those sporting the Xiaomi Mi 5 flagship can use Mi Pay at the moment. That's because the Mi 5 is the only handset in the company's current lineup that is equipped with NFC. Older Xiaomi models had support for NFC, but we're thinking that to keep prices low (something that Xiaomi is known for), that support was eliminated on most of the newer models to partly pay for a fingerprint scanner. To make Mi Pay work, Xiaomi partnered with China UnionPay, which is the only bank in China that handles inter-bank payments. As Apple discovered when it courted UnionPay in order to launch Apple Pay in China, the bank is an important ally to have on your side when offering a mobile payment service in the country. Opening the Mi Wallet app allows users to enter supported credit and debit cards. The card numbers are verified by clicking on a link sent by SMS, and each device will hold up to eight cards.